Home / Book Reviews / Wanna read something different? A few months ago I started a book that is way different than what I usually would have picked up. 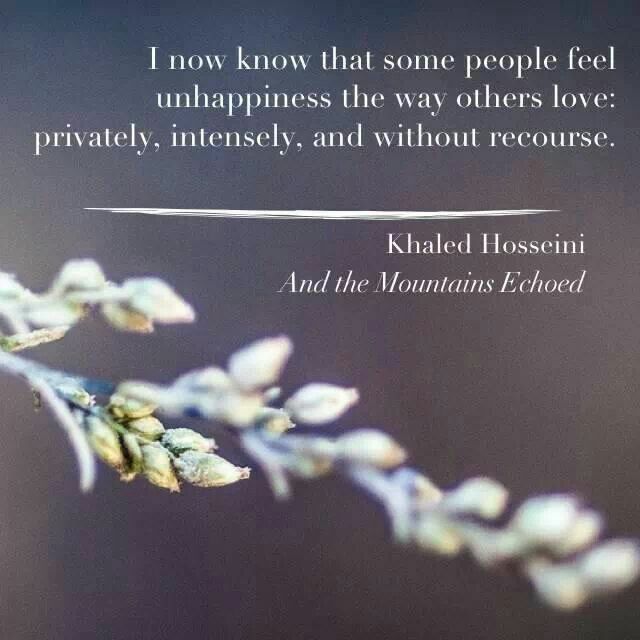 And The Mountains Echoed by Khaled Hosseini is a book I can’t quite explain what it is about, because I know whatever I say it will not explain the entire plot and all of Hosseini’s points of writing it. This part of the synopsis found on the cover of the book is a wonderful way to explain this novel. I wonder if what this person gathered about the book is what Hosseini would have said himself. Can anyone really explain what the author feels just by reading the book he wrote? I don’t think so. Anyways, I decided to read this book because it is different then the usual love story or teen fiction books I like to read. It’s about a family from the middle east and talks about the journey they live together, and the journey they live without each other. When I first started this book two months ago (I really hate that it is taking me so long to read this) it was really hard for me to understand where the book was going and I think that’s what I like most about it now. Hosseini keeps the reader guessing with the change of perspective between characters and completely different story that all the characters have to tell, and all it does is make you want to read it more. Each new book I read continues to prove my point that writing truly is an art, an art that I hardly think I will ever get tired of. Reading this book has made me confident to go outside my comfort zone with the books I read and try something new, and it makes me to encourage other readers to do the same. Just because a book is different definitely doesn’t mean it’s author doesn’t share the same talent and writing style that you have always enjoyed.